Yesterday saw twenty tech startups pitch their products to assembled press and investors from around Europe and beyond at the Seedcamp Week demo day. It was an event that followed the announcement of big news about the future of the investment fund and mentoring program. Partnerships with Dave McClure’s 500 Startups and AngelList were unveiled among a bevvy of other partnerships and expansions. I was at the Demo Day, which took place at at Imperial College, London, to watch the presentations . Just about all the startups had strong products and well-delivered pitches, but here, in alphabetical order, are the ten that particularly caught my eye. Does having a social media presence actually help businesses make sales? It’s a difficult question – you can track Likes, fans and sentiment, but they don’t necessarily provide a good indication on return on investment in social media. 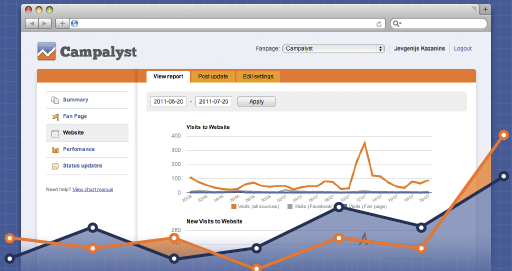 Campalyst aims to offer an alternative to the likes of social analytics tools like Radian6, tracking users’ activity across both a company’s Facebook Page and its website. This enables businesses using Campalyst to see why fans convert into customers and whether revenue per customer acquired through social media exceeds their acquisition costs. Started just six months ago by an Estonian, Lithuanian and Finnish team, the startup has 290 customers using the service across three territories. Crashpadder is a similar proposition to AirBnb, but is focused on matching guests with hosts who have individual rooms, rather than whole properties, to rent for short stays. With Crashpadder, the host is present during the stay. What really makes this startup different though, is its focus on matching people, rather than properties. The service allows users to find people with similar interests, leveraging your social graph to find the best matches. This UK team has rolled the service out across Britain, as well as five other cities around the world so far. Teleportation may still be a futuristic dream, but Crowd is an impressive-looking realtime photo search service that looks to get close to the experience by letting you see the most recent photos from any location. 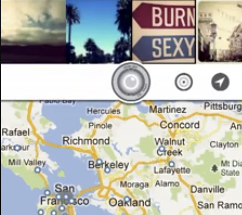 Pulling in public, geotagged photos from the likes of Foursquare, Twitter, PicPlz and Instagram, Crowd lets you search the world via a map. A zoom control lets you see a wider view of only the most recent photos, and you can see a longer time period of images the closer you move into a particular area. This two-person French team is talking to Foursquare and Google about partnership opportunities and has already received interest from newspapers like LeMonde and Le Figaro, looking to harness the technology for their own sites. Although Crowd hasn’t launched yet, a Web-based version and iOS app are both in the works. According to the Farmeron team, farmers are one the fastest growing Internet adopter groups. 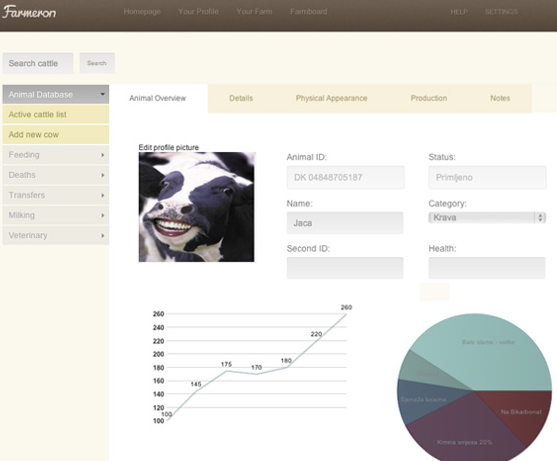 This service is designed to help them improve their working practices by providing data management and analysis tools online, as a solid replacement for traditional farm management software. In addition to analytics about a farm’s own performance, data can be shared with other farmers, helping share best practice and letting them “compete to become an ultimate farmer.” The Croatian team is approaching farming unions to spread the word about the product. While this might not seem like the typical kind of service that TNW would be interested in, it was getting a lot of the journalists and investors talking at yesterday’s event. Maybe the idea of ‘Web-based analytics for farmers’ is just a cool concept that captured everyone’s imagination, or maybe it really will transform the farming industry as we know it. If you’ve ever organised an event or group activity with other people, you’ll know how difficult it can be to take care of the money management side of things. Traditional bank accounts often make things more difficult than they should be. 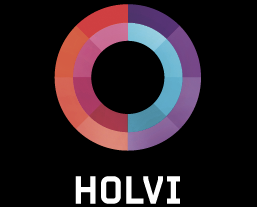 Holvi provides a Web-based solution, offering a group bank account with a beautiful, very ‘un-bank-like’, interface and integrated fundraising features. Based in Finland, and registered with that country’s FSA, Holvi gets revenue from transaction fees. App publishers need to keep track of a lot of data. Ad networks’ statistics, in-app analytics tools and app store sales data all has to be monitored closely. Mopapp aggregates data from all these sources and puts them together in one Web-based dashboard, presenting the information in a format that’s easy to read and follow. 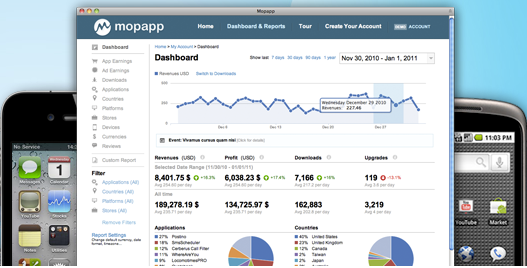 Italy-based Mopapp currently has 1750 users, tracking stats for 6500 apps between them. High profile clients include Autodesk, Waze and Zendesk, all obtained through word of mouth. The startup generates revenue through a recurring monthly fee and is now concentrating on building its userbase further through marketing activity. When I saw Psykopaint demonstrated at the Seedcamp event in London in January, my first thought was ‘Why?’ This time the product, and the pitch, were both far more convincing. Psykopaint is a Web app that allows you to create ‘paintings’ based existing photographs. An impressive range of brushes and tools are available to craft an image that looks like you’re a master artist even if you have little actual skill in the field. 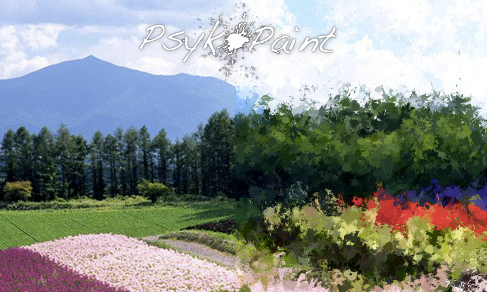 At present, Psykopaint attracts 400,000 unique visitors to its site per month. Frenchman Mathieu Gosselin is the lone person behind the project, and he’s developing an iPad app which he briefly demoed at yesterday’s event. While I think Psykopaint is cool, I’m not sure I’d use it myself. However, the whisper of “My kids would love this” that I overheard from another Demo Day attendee convinced me of this product’s ideal audience. Co-founded by the first ever employee of Skype, TransferWise bills itself as “the Skype of currency exchange”. The startup is dedicated to providing a cheaper way to transfer money between currencies than banks can offer. London-based TransferWise uses the mid-market rate that banks use to transfer money between each other, instead of a commercial transfer rate. This means that it can charge a £1 flat fee for any transaction. The service is currently limited to a maximum of £2000 transfer amounts, but will be increasing that soon. On the way are premium services like faster payments, and an expansion into more currencies – it currently only supports Pounds Sterling and Euros. Vox.io impressed us when we covered it first in January this year and it’s even better now. The idea of this service is to ‘reboot’ VoIP communication, getting rid of the clutter that comes with apps like Skype. It’s browser-based, with a minimalist Web app and no downloads or installation required. Recent developments from this Slovenian team which has recently relocated to San Francisco include disposable ‘Vox.me’ URLs you can give to people who will probably only need to call you once or twice – ideal for one-off meetings or for the early stages of dating. A mobile app is also on the way. Zin.gl started out with the idea that existing dating sites are designed to keep you using them (and thus keeping you single or in short-term relationships), whereas a perfect user-centered approach would be focus on finding you the perfect match so that you never needed to come back. Zin.gl uses data from your existing online social activity to match you with similar people without you ever having to actually create a profile yourself. The algorithm that the Russian, American and Belgian team has created appears to be working well in its 68,000 user-strong private beta – 98% of users have apparently met meaningful new friends through the service. Zin.gl is set to open to the public on September 26. Read next: Collaboration: Are you doing it wrong?